It’s a cold and bleak February outside the Renegade Gardener’s ramshackle shack. The postman hasn’t been here for days, though I can just see the roof of his delivery truck not quite obscured by snow drifts, down a quarter mile in the ditch alongside the old logging road that winds it way up from the valley. I hope he’s OK.
At least the last time he delivered mail it contained not at all the only harbinger of spring, but the only one that captivates my attention, gets my juices thawed and flowing, and makes me chuckle: the Plant Delights Nursery 2017 Spring Sales Catalog. I believe the catalog has made this list before, but when something is truly great it’s worthy of repeat mention. Tony and Anita Advent have been the proprietors of the nursery, located in Raleigh, North Carolina, since 1988, and for gardeners around the world it has proved to be an invaluable source for an astounding variety of perennials. 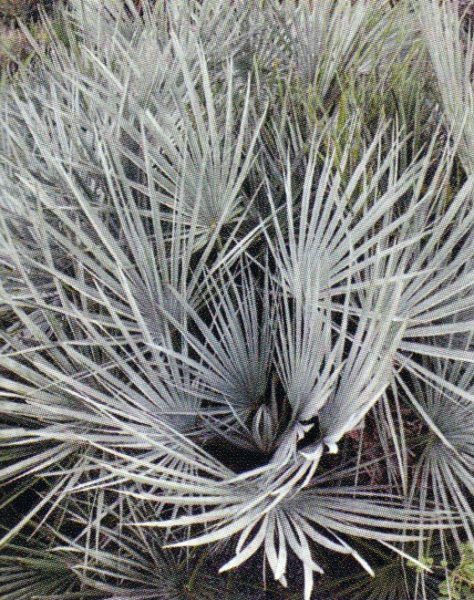 Are the tables of your local nursery a bit bare when it comes to stocking Blue Mediterranean Fan Palm (Chamaerops humilis var. cerifera), a stunning zone 7 perennial that spirals out to 3’ x 3’ in six years? 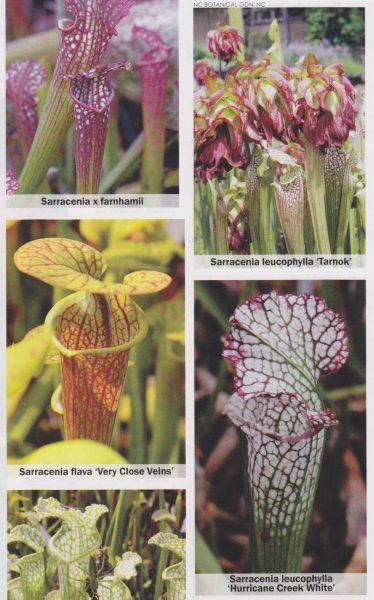 And how is one to create a truly magical faery garden when one can’t find a nursery within 600 miles that carries varieties of the genus Sarracenia (Pitcher Plant), let alone have anyone on the staff that knows how to pronounce it? Plant Delights has you covered, from the most hard-to-find, esoteric perennials to new varieties of the more traditional standards you already know. Though one will encounter a large number of plants hardy only to the Cheaters Zones 7-10, in its pages (and online) one will find hundreds of stellar perennials more attuned with the Honest Gardeners Zones 3-6. The Plant Delights website is a great place to start. 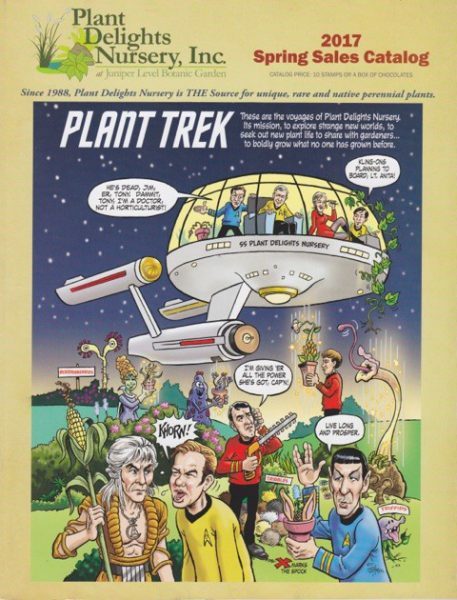 The entire print catalog plus over 800 additional web-only offerings will be found, in addition to gift certificates, the Perennial Plant Encyclopedia, Tony’s plant exploration journals, articles and more. They have a great reputation for shipping healthy plants combined with exemplary customer service. Be sure to say hi from me. You can order the print versions of their spring and fall catalogs if, like me, you enjoy paging through a festively written, beautifully photographed, colorful plant catalog. I find it’s so much cheaper to replace a paper catalog than replace my iPad when I fall asleep while reading in the bathtub.